There’s no doubt about it, computers are as essential to our lives today as any piece of technology from the last 50 to 100 years. But, because of this, knowing how to work with computers is increasingly important. Back in 2012, the Raspberry Pi was launched with the intention of helping people develop their computer science skills. An instant smash, the appeal of these small hand-held computers has expanded beyond its initial target market, and into the world of long-established sectors. With course now on offer to help people unlock the potential of the mini computer, it’s an exciting way to get to know the world of computer science. But, if you’re more of a learn it yourself kind of person, there’s plenty of projects you can do from home. Just grab your Raspberry Pi, some extra components from the likes of RS Components, and read our favourite projects for Raspberry Pi beginners. So, lets jump straight in with an idea that all tech fans are sure to love; the retro gaming system. Bringing back those computers of yesteryear, you’ll be able to re-play your childhood thanks to the Raspberry Pi as you replay all of your favourite old school titles. Starting from scratch, you’ll be able to choose the shape and style of your console yourself. All you have to do is a little 3D printing, and you’ve got a classic looking Nintendo, or you could even grab a cheap piece of furniture and build a real life, in-home, arcade style game. Whatever you choose, the fun times are about to begin. And not just any old radio, but a streaming one that’ll allow you to showcase your tunes via Spotify, Google Music, and pretty much any streaming platform that you use. This can be as basic or as advanced as you like, depending on how long you want to spend on the project. You could introduce a touchscreen, which will give you a modern jukebox vibe as you control playlists, or you could make a vintage looking Hi-Fi that can add a little charm to your home too. Let the fun times roll at your next house party when you build your very own photo booth. A sure-fire way to get everyone having a good time, you can build a simple looking box around the Raspberry Pi, which will eventually become a photo booth of your very own. Either opt for a touchscreen style with a little countdown timer, or go simple with an auto-upload style that’ll post animated gifts to your Tumblr account. Simple. 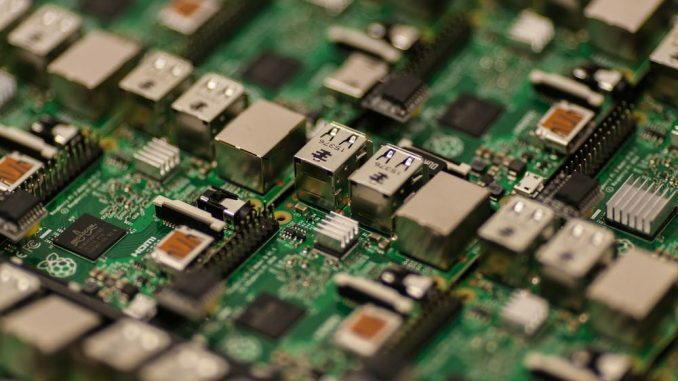 Whatever you choose to do, the world of Raspberry Pi is almost limitless.